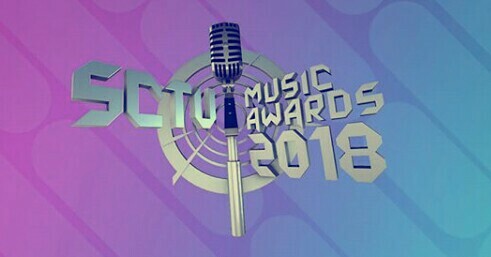 👍 ALIEFNK.com 👌 - SCTV presents SCTV MUSIC AWARDS 2018. Host: Andhika Pratama, Astrid Tiar, Ferro Walandouw. Menampilkan: Syahrini, Rossa, Via Vallen, Armada, D’Massiv, Anji, Virgoun, Afgan, Sheryl Sheinafia, Nev+, Jaz, Demian Aditya, and many more. 👍 ALIEFNK.COM 👌 - Hai Pokémon GO trainers. Apa kabar nih? Masih setia kan sama Tante Nia? BTW, akhir Maret 2018 kemarin, Niantic merilis fitur teranyar di Pokémon GO yaitu Quest. Quest terdiri dari 2 bagian: Field Research dan Special Research. Fitur Quest diharapkan membantu Pokémon GO trainers yang tinggal di daerah terpencil (seperti saya) untuk mendapatkan Pokémon langka/Pokémon Legendary. Quest Field Research bisa didapat trainer dari memutar Pokéstop (1 Pokéstop = 1 Field Quest/hari). Obyektif dan hadiah setiap Quest Field Research bervariasi. Apabila trainer rutin menjalankan Quest Field Research minimal sekali tiap hari, maka trainer akan mendapatkan stamp dan jika telah terkumpul 7 stamp trainer diberi hadiah berupa box yang isinya masih misterius (spoiler: salah satu bonusnya adalah Pokémon Legendary Moltres). Sedangkan Quest Special Research berupa Mythical Discovery yang terdiri dari 8 step quest, dimana tiap step terdiri dari 3 obyektif berbeda. Hadiahnya? Seekor Pokémon Mitos bernama MEW! Lumayan kan? Untuk sementara ini saya sedang ngebut main Quest Field Research. Saya excited karena sekarang tak cuma spin Pokéstop, nangkap Pokémon, battle di gym saja, tapi ada misi-misi tertentu untuk mendapatkan hadiah berupa menangkap Pokémon/stardust/item. Menarik! Catch 10 Pokémon: Magikarp (potensi shiny). Catch a Rattata or Pikachu: Phanpy. Catch a Dragon-type Pokémon: Dratini (potensi shiny). Catch 5 Pokémon with Weather Boost: Poliwag/Vulpix. Use 10 Berries to help catch a Pokémon: Growlithe (potensi shiny). Make a Great Curve Ball Throws: Spinda. Make 5 Nice Throws: Voltorb. Make 3 Great Throws: Gastly. Make 3 Great Throws in a row: Onix. Make 3 Excellent Throws in a row: Larvitar (potensi shiny). Battle in a Gym: Mankey. Battle in a Gym 5 times: Machop. Win a Gym battle: Bulbasaur/Charmander/Squirtle (potensi shiny). Win 3 Gym battles: Jynx. Use a Super Effective Charge Attack 7 times: Electabuzz. Power up Pokémon 3 times: Koffing. Power up Pokémon 5 times: Bulbasaur/Charmander/Squirtle (potensi shiny). Earn a Candy walking with your buddy: Numel. Send 5 Gifts to friends: Roselia (potensi shiny). Battle in a Gym: Nanabberry x5/Potion x5/Revive x2. Battle in a Gym 5 times: Nanabberry x10/Revive x4/Super Potion x3. Battle in a Raid: Nanabberry x5. Catch a Ditto: Golden Razzberry x2. Catch 3 Bug-type Pokémon: Pinapberry x1/Pokéball x5/Razzberry x3. Catch 3 Dark-type Pokémon: Pinapberry x2/Razzberry x6. Catch 3 Flying-type Pokémon: Pokéball x5/Razzberry x3. Catch 10 Normal-type Pokémon: Pinapberry x2/Razzberry x3. Catch 3 Poison-type Pokémon: Pinapberry x1/Pokéball x5/Razzberry x3. Catch 3 Oddish or Bellsprout: Greatball x5/Pinapberry x2. Catch 3 Pidgey or Murkrow: Pinapberry x1/Pokéball x5. Catch 3 Swablu: Razzberry x3. Catch 10 Pokémon: Pinapberry x1/Razzberry x3. Catch 5 Pokémon with Weather Boost: Pinapberry x1/Pokéball x5/Razzberry x3. Catch 10 Pokémon with Weather Boost: Greatball x5. Hatch an Egg: Pinapberry x1/Pokéball x5/Razzberry x3. Hatch 3 Eggs: Pinapberry x3/Pokéball x10/Rare Candy x1/Razzberry x9. Make an Excellent Throw: Greatball x5/Ultraball x2. Make 3 Great Throws: Pinapberry x1/Pokéball x5/Razzberry x3. Make 5 Nice Throws: Pokéball x5/Razzberry x3. Make 3 Great Curve Throws: Pinapberry x3/Pokéball x10/Ultraball x5. Make 5 Curve Throws in a row: Greatball x5/Pinapberry x2/Razzberry x6. Make 3 Great Throws in a row: Pinapberry x3/Rare Candy x1. Make 3 Nice Throws in a row: Greatball x5/Pinapberry x2/Ultraball x2. Make 3 Great Curve Throws in a row: Golden Razzberry x2. Make 2 Nice Curve Throws in a row: Pinapberry x1/Pokéball x5/Razzberry x3. Spin 10 Pokéstop or Gym: Pinapberry x1/Razzberry x3. Use 5 Berries to help catch Pokémon: Greatball x5/Pinapberry x2/Razzberry x6. Use a supereffective Charged Attack in a Gym battles: Nanabberry x10/Super Potion x3. Use a supereffective Charged Attack in 5 Gym battles: Charge TM. Use a supereffective Charged Attack in 7 Gym battles: Max Revive x1/Revive x6. Win a Gym battle: Nanabberry x10/Revive x4. Win 3 Gym battle: Hyperpotion x3. Win a Level 3 or higher Raid: Max Revive x1. Win a Raid: Pinapberry x10/Revive x4/Superpotion x3. Battle in a Gym: x200. Battle in a Gym 5 times: x500. Battle in a Raid: x200. Catch a Dragon-type Pokémon: x1500. Catch 3 Dark-type Pokémon: x500. Catch 3 Flying-type Pokémon: x200. Catch 3 Poison-type Pokémon: x200. Catch 3 Pidgey or Murkrow: x200. Catch 10 Pokémon with Weather Boost: x500. Make an Excellent Throw: x500. Make 3 Great Throws: x200. Make 5 Nice Throws: x200. Make 3 Curve Throws in a row: x200. Make 5 Curve Throws in a row: x500. Make 2 Nice Curve Throws in a row: x200. Make 3 Great Curve Throws in a row: x1500. Make 3 Nice Throws in a row: x500. Spin 10 Pokéstop or Gym: x200. Use 5 Berries to Help Catch Pokémon: x500. Win a Gym battle: x500.